^ You don't get what I'm saying. I'm not asking for more time devoted to it. I'm complaining about the fact thay they wrote it so that Pema had that baby in ten minutes, while this is largely unrealistic. Having a baby in 10 minutes is unrealistic? Tell that to my sister-in-law. 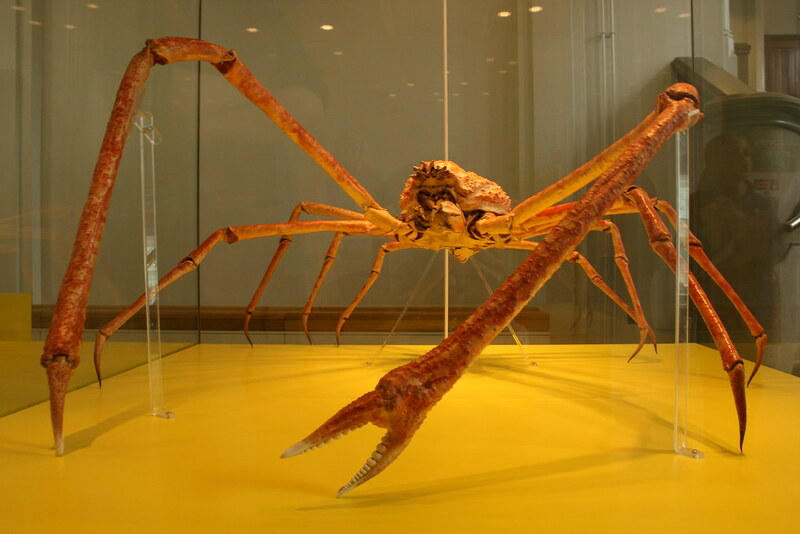 ^^ That's still not as bad as the spider crab. Did I mention they get 4 metres long? ^^^ I can't help but think that looks extremely tasty. I don't even like crab. 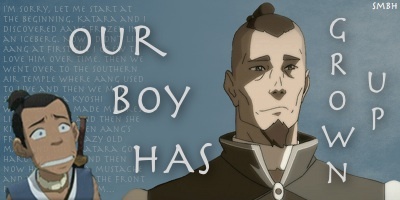 Korrasami bromance; Older!Aang's beard; Jinora's "Stay away from my dad's ex-girlfriend!" ^ You could always try and catch one. But be careful that it doesn't catch you. ^ I had already edited my post to explain myself better, so I'm not going to respond to this. And just because everyone gets that fact wrong doesn't mean I have to like it. "We were telling a story, so we couldn't be bothered with realism" is the worst excuse ever in my eyes. The whole point of telling a good story is that you take care to make it believable, and this obvious plothole was really distracting to me (even though it seems most others didn't notice). But this is a different universe. These people aren't Homo sapiens, we have no idea what their biology is like. How do you know that in their universe delivery doesn't only take 15 minutes? It seems pedantic to complain about little details like this when there are worse issues with the writing. Rule of thumb: if there is no reason for something to be different, assume that is the same as in our world. Besides, as Loopy pointed out, Hope's birth did take a considerable amount of time. And I wasn't complaining. I made an offhand comment while writing down my first impressions, and then everyone jumped on it. Apparently I have to be enthousiastic while spotting mistakes or something. This review is going to be quite a bit shorter than the one I had typed up, that's because my computer won't work, so I'm using another one, and I didn't get to post it. Why did the Equalists blitz Republic City? Who exactly is Hiroshi Sato? What I mean is that at one point in the Airship he had a suspicious look in his face. Ikki's remark makes me remember the movie Air Force One. When Tenzin says goodbye to Korra, it sort of reminded me of a part in Hotel Rwanda, then it transitions to reminding me of DoBS part 2. I agree that Toph would be so proud of Lin's sacrifice. I at first thought General Iroh was Zuko, then found out he wasn't and still screamed that it was the person Dante mentioned. My parents then told me it was just a show. Overall I liked it. I vote it at least an 11. ^ Thanks for always doing these SMBH! You do such an amazing job! I keep Korra's pout and Lin Beifong's stylish trench coat. Errrrr, can I be the only one who agrees with NeeNee that the unrealistic speed of the birth was confusing and jarring, and that it wouldn't take much to fix? Let it go, seriously. I doubt that giving birth is a crucial part of the Avatar world. Oh yeah baby...I rock! sig=guitarfreak magic! I loved this eppie simply because the equalists went to the sacred air bender island. Everyone knew these were the only airbenders left so even attempting to start there was pretty harsh. It reminded me of the start of the 100 year war. I totally agree that it was like the 100 year war, they wanted to whip out the air nomads first. I think people have a misconception of the air nomad that they will not fight, but looking on how Monk Gyatso sorrounding was, I highly doubt that he went down piecefully. and the way Tezzin fights I see that some airbenders that really hold there own. For example, Tezzin's kids, they all fought with out hesitation and they were able to fend off the intruders. I doubt that giving birth is a crucial part of the Avatar world. ...It's the only way people come into existence. Babies don't just fall out of the Sky. Birth not being crucial is like bending not being crucial. Keeper of Hasook's Hair, Korra's boots, Azula's fingernails, and a Equalist gas mask! ^ What are you talking about? Teo was obviously a clone. This episode is so intense. In a lot of ways, it is better than the last 2 episodes of the Book. The 2 finale episodes were kind of a let-down. Lin's sacrifice in this episode still gets to me. "That lady is my hero!" This is the only episode that felt like it was twenty-two minutes long and not half that length. Anyway I have the same complaints as the previous episode. The characters lacked distinctiveness and they annoyed me. As for what I liked. The answer is obvious: Lin and Tenzin. It is a shame that her big moment was marred by her generic retort to Amon.